What Did Happen To Saddam’s WMD? Saddam Hussein certainly had chemical weapons during the Iran-Iraq War of 1980-88, yet by the time American and British troops entered the country in 2003 they were gone. Where? The Chilcot Report was brutal on Tony Blair’s cavalier use of intelligence concerning Saddam Hussein’s weapons of mass destruction in the run up to the invasion of Iraq. But the fact remains that in the 1980s Saddam did possess substantial quantities of WMD – and used them. By 2003 not a trace remained. What happened to them in between? The polemic over Iraqi WMD, combined with the sheer complexity of the issue, has obscured a fascinating story. At its heart lies the bizarre, blundering, blinkered figure of Saddam Hussein, who understood so well the brutal realities of Iraqi politics, but was all at sea in the grander world of international diplomacy. The following is based on a series of lengthy interviews, on and off the record, with Hans Blix, chief UN weapons inspector from 2000 to 2003, and an interview with Charles Duelfer, who wrote the CIA’s final, definitive report on Iraqi WMD in 2004, after the invasion. It draws too on a careful reading of the numerous reports on Iraqi WMD produced by the UN through the 1990s and early 2000s. Saddam emerged from the Iran-Iraq War of 1980-88 possessed of one unshakeable conviction; that he owed his survival, and that of his country, to chemical weapons, without which his forces would have been over-run by the numerically superior Iranians – which was probably true. He also firmly believed that chemical weapons were all that had deterred the US from advancing on Baghdad after retaking Kuwait in 1991 – which was almost certainly untrue. UN Resolution 687, passed on April 3rd, 1991 at the end of the First Gulf War, demanded Iraq destroy all its WMD and dismantle all ‘research, development, support or manufacturing facilities’ that had survived Allied bombing. Saddam’s response was a partial declaration of his chemical weapon and ballistic missile capacity. Believing he could hoodwink UN inspectors and ride out international sanctions, he held back the remainder and denied entirely the existence of his biological and nuclear weapons programmes. Saddam quickly realized he had under-estimated the resolve of the UN. At this point, in the summer of 1991, he took a disastrous decision – to unilaterally destroy the remaining chemical weapons and ballistic missiles and all of his biological weapons. Anxious to destroy evidence that this undeclared weaponry had ever existed, the regime also destroyed vast amounts of paperwork. Iraqi Presidential Advisor Amir Hamudi Hasan Al Sa’adi later told the Americans this decision was as catastrophic in its consequences for Iraq as the invasion of Kuwait. The unilateral destruction took place, in secret, between July and December 1991. Pain staking, on the ground investigations by UN inspectors soon revealed to them that Iraq had possessed far more weapons than it had declared. Under pressure, on March 17th 1992 the Iraqis came clean about the unilateral destruction of its remaining chemical weapons and ballistic missiles. But how to prove it? They took inspectors to desert locations where the destruction had taken place. Moreover, Saddam continued to deny that nuclear and biological weapons programmes had ever existed. Inspectors quickly uncovered the remnants of Iraq’s nuclear facilities and they were swiftly destroyed. But the UN only became aware of the full extent of the pre-1991 biological weapons programme with the defection of Saddam’s son-in-law, Husayn Kamil, in 1995. The Iraqis sought to blame Kamil for the concealment and now told inspectors about the destruction of biological weapons in 1991. But again – how to prove it? In 1996 inspectors destroyed Iraq’s principal biological weapons production facility at al-Hakam, which had been sanitized and converted to civilian use in 1991. The goals of Resolution 687 had now essentially been achieved – Iraq was disarmed and had no meaningful WMD production facilities. But by this time UN inspectors didn’t believe a word the Iraqis said. But even today Hans Blix believes the Iraqis could have done more to verify the unilateral destruction. He believes limited paperwork did survive. More importantly, they could have provided scientists for interview. There was also the issue of the Iraqis’ bizarre behaviour during inspections, particularly at presidential sites where they would frequently bar access. ‘When we finally got in, we would find nothing,’ says Dr. Blix. ‘We even looked in the refrigerator. We found marmalade.’ Why behave as if they had something to hide if they didn’t? The general consensus today is that Saddam was engaging in a policy of ‘deterrence by doubt.’ Still fearful of the Iranians, he was sending out mixed messages, anxious that his neighbours should harbour the suspicion he’d fooled the UN and retained WMD. But Hans Blix and Charles Duelfer believe there may be a simpler explanation – pride. 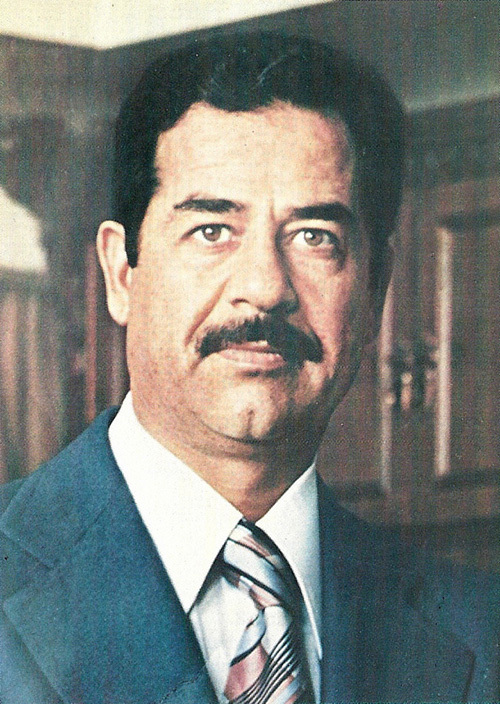 From 1995 inspections focused increasingly on the security apparatus surrounding Saddam, which appeared to be responsible for the policy of concealment. The Iraqis suspected the Americans were using the inspections to spy on them – and revelations in the US press in 1999 suggested they were probably right. But Saddam also found the increasingly aggressive inspections offensive. In December 1998 relations with the UN broke down and the inspections were halted – further proof, for the outside world, of Saddam’s guilt. By the time inspections resumed in the autumn of 2002 the overwhelming consensus was that Iraq possessed WMD. ‘In my guts I believed that,’ says Dr. Blix. But this time there was total cooperation from the Iraqis, at least in terms of providing access to sites. A small number of missiles that marginally exceeded the UN’s 150 km limit were found and destroyed – but nothing else. Dr. Blix still felt initially the Iraqis could have done more in terms of verifying the destruction of 1991. But from January 2003 they significantly stepped up cooperation and in those final weeks before the invasion he now feels that, realistically, there was nothing else they could have done. ‘They tried their darndest,’ he says. Precisely a month later American and British troops entered Iraq. They found nothing. Richard Sanders is a filmmaker and writer.